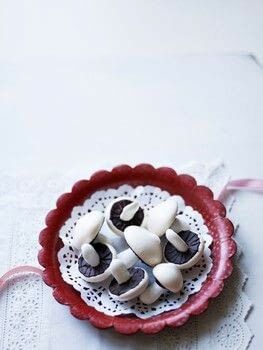 I like to use these little meringue mushrooms to decorate my Bûche de Noël at Christmas time but they make cute edible gifts whatever the time of year. © 2019 Alison Walker / Jacqui Small · Reproduced with permission. · Handmade Gifts from the Kitchen by Alison Walker, £20 Jacqui Small. Preheat the oven to 110°C/225°F/gas mark ¼, and line two baking sheets with baking parchment. 1 tablespoon at a time until the meringue is thick and glossy. Fill a piping bag fitted with a large plain nozzle and pipe 3.5cm (1½in) dome shapes on to the baking sheets, spaced apart. Vertically pipe stem shapes alongside about 3cm (1¼in) high. 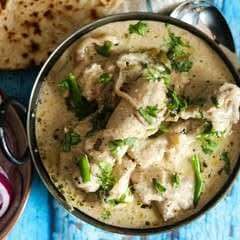 Bake in a preheated oven for about 45 minutes to 1 hour until they are completely dry and they easily lift away from the baking parchment. 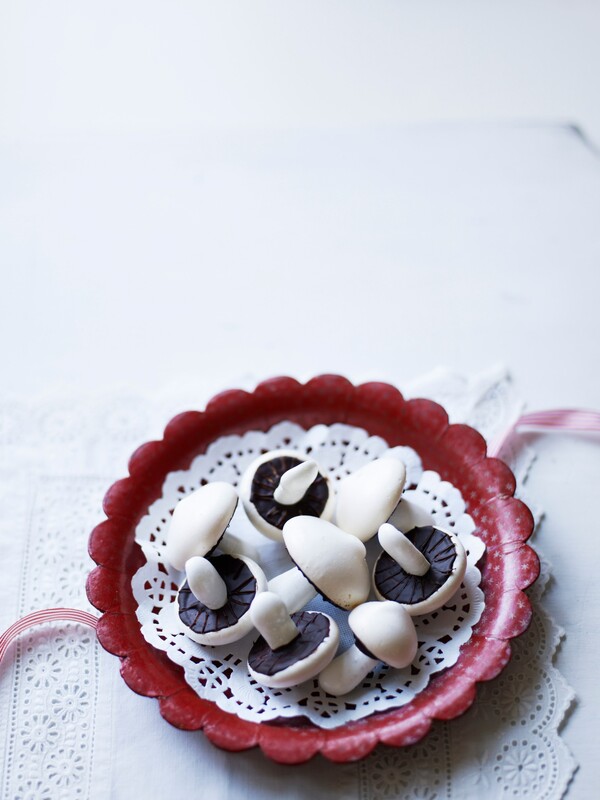 To assemble, spread the underside of the mushroom cap with chocolate. Carefully make a hole in the centre with the tip of a skewer. Dip the pointed end of the stalk into the chocolate and carefully insert into the hole. Leave upside down until set (when the chocolate is almost set, score lines with a cocktail stick to represent the gills of the mushroom). These cute meringue shapes keep for two weeks in an airtight container or sealed packet.